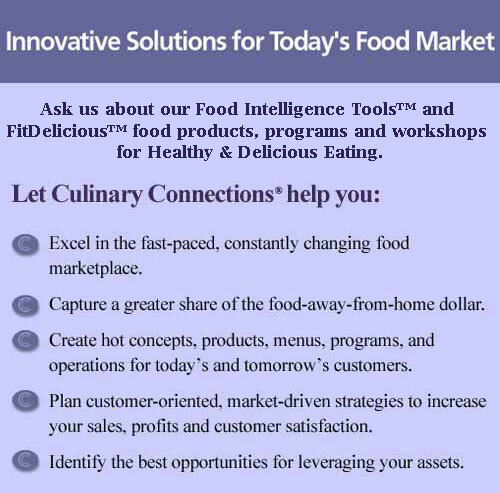 Culinary Connections Food Service Consultants -- Strategic Planning, New Product Development, Food Marketing Services and more. or click on the book to find out more! �� 2001-2018 Culinary Connections��. All Rights Reserved. Culinary Connections�� is a Federally Registered Service Mark with the United States Patent and Trademark Office. Registration Date 1995.